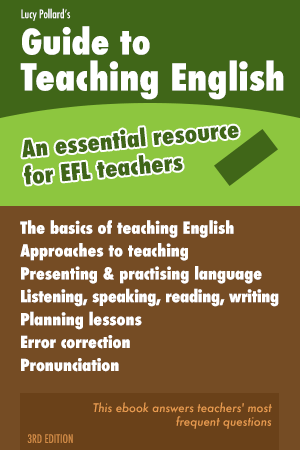 A collection of games and activities for learners of English as a Second or Foreign Language. All the games and activities have been thoroughly tested in a range of teaching environments, including language schools, elementary schools, high schools and adult language centres. The playing time, number of players, language focus and level, plus any preparation needed are in an easy-to-read table at the start of each game. If you believe there is a role for ESL games and fun activities in your classes, and you need a handy collection that includes clear instructions for a wide range of games and activities, this ebook is for you. The first section contains games that help learners in a new class get to know each other and relax. Many involve information gaps or information exchanges from which they can learn about each other. The games help to create a fun, non-threatening atmosphere that encourages students to feel comfortable in their new class. As the name suggests, you can use these games whenever you find yourself unexpectedly faced with a few minutes to fill during a class. This can occur when waiting for latecomers, when a lesson has to be put on hold some reason, or when a lesson has finished a little early. The games require no preparation, are easy to explain and organize, and are flexible enough to keep your students happily occupied for as long as necessary. 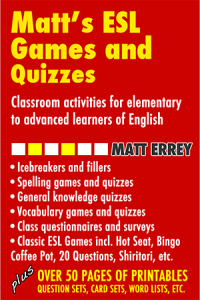 The games in this section have been used in classrooms for so long that they’re often referred to as “classic ESL games”, and many teachers would consider their “box of tricks” incomplete without them. They include Hot Seat, Coffee Pot, Telephone (or Chinese Whispers), Word-O Bingo, and the most classic of them all, Twenty Questions. Most of us enjoy having our knowledge tested in quiz games, and classroom quiz games are a big hit with learners. In this section you’ll find games in which general knowledge is tested, as well as games in which various aspects of English are tested, including a wide range of vocabulary and phrasal verbs. Graded sets of quiz questions for all the games are provided. Spelling bees have long been a part of life for native English-speaking students in schools throughout the English-speaking world, and they’re now becoming part of the TOEFL world as well. The games in this section include spelling quizzes for teams and individuals. 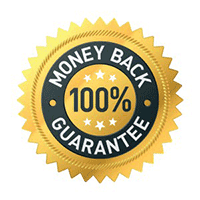 Graded word lists are provided. I teach English to nonnative speakers in Thailand and Korea and my students love these games and activities. 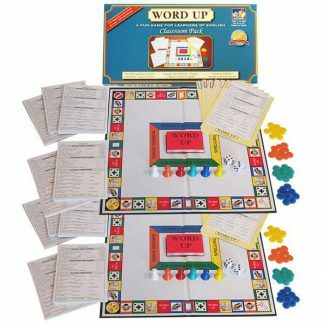 The games are fun and clearly explained and the spelling, vocab and grammar quizzes come with hundreds of printable quiz questions in graded sets. Highly recommended. Very nice group to have on your team!! I look forward to using the materials from this group! Saved the day for me several times already. Thanks Matt!